Eco Plastic Wood offer a range of environmentally friendly bespoke items, working with specific requests or designs. Each brief or request is delivered to your requirements and beyond. The benefits of the plastic used are the reduced need for maintenance, weather-proofing, durability and also a clean finish compared to typical wood which usually will split over time. They don’t splinter, do not rot or absorb moisture and are vandalism proof. Graffiti can be wiped off so your design is not compromised. Due to these benefits they can meet the many needs of your customised product, whatever the environment. Our items will be ‘fit and forget’ due to their low maintenance requirements, giving you the peace of mind to just enjoy your unique design. Want something unique for your business environment? This is our way of giving all of our customers exactly what they want. As a result our recycled wood items offer a unique, environmentally friendly solution to your specific needs. Due to their many benefits, they are a cost effective way of getting exactly what you need, and you’ll be able to keep it in great condition without maintenance. We’re extremely passionate about creative ideas, and are very experienced in products of this manner. Some of our beautiful completed designs can be found on this page. 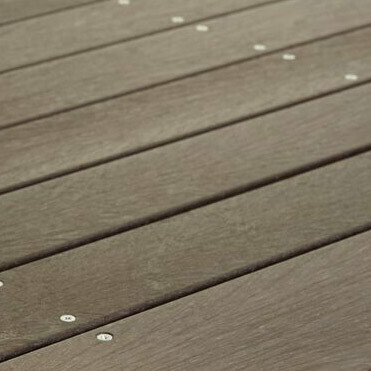 Eco Plastic Wood are able to serve a huge range of requests. We are always open to any proposal, no matter the complexity or size and we really enjoy a challenge. Bespoke items are a beautiful addition to a range of environments, and are a great way of adding whatever you require to wherever you need using our unique material. The only limit is your creativity. All of these benefits come alongside being environmentally friendly and our high-quality designs can even be recycled at the end of their very long lifespan. 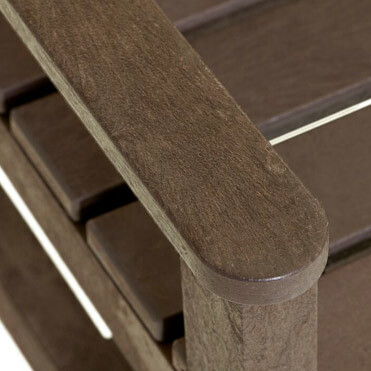 Our plastic wood items are enjoyed in a range of environments and are ideal for your unique needs in any area, due to the extremely high quality of our items. Our material is incredibly resilient and will let your product remain in peak condition for as long as you need it to. Your bespoke design will be preserved for all to enjoy and admire. As our products are made out of recycled materials, you’re getting a custom product that’s beneficial for you and the environment.